1. The Las Vegas Convention Center is massive, and IBS will account for 476,000 net square feet of exhibit space. According to the IBS website, that's nearly 50,000 more square feet than last year. 2. Don't stress about getting there. A complimentary hotel shuttle bus service will be provided between the Las Vegas Convention Center and Official Show Hotels that are not within walking distance. Or, you can easily hop on the Las Vegas Monorail, and be at the show in minutes. 3. Get ready to make new friends. 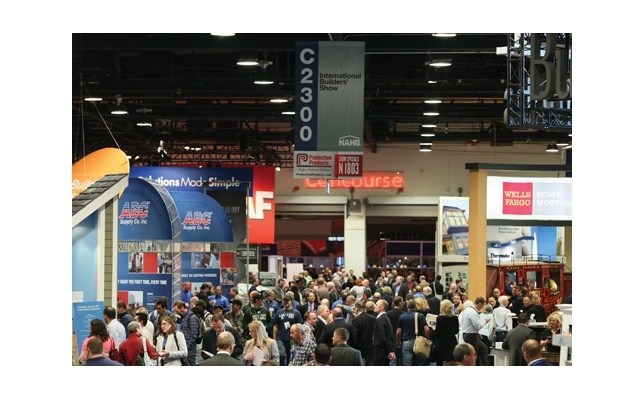 Over 55,000 Building Industry professionals come to Las Vegas to attend the International Builders Show. Its one of the top conventions in the city, and is the largest annual light construction show in the world. 4. Prepare to be on your feet the entire day. Whether you're working a booth, or you're out walking the floors, it only makes sense to wear comfortable shoes. 5. There's a lot you'll want to see and do. From visiting exhibitor booths, to attending informational sessions, you can determine your schedule with the show planner. 6. That being said, set some time aside to visit your friends at Modlar (Booth C6147). We'll be on hand to discuss our services and answer any questions you may have. We might even have a few freebies that you can take home! 7. Be sure to bring a tote bag. There are over 1,200 exhibitors, so you'll definitely be walking away with some cool swag. 8. Have a pen and paper handy. As an attendee, you have the option of taking part in hands-on demos, seminars and industry workshops. There are more than 100 education sessions, covering every aspect of the industry. 9. The lines at Starbucks are some of the longest you'll ever stand in. Seriously. If you're in need of a caffeine fix, be prepared to wait at least 20-30 minutes. 10. Leave your cameras at home. With all of the new products and unique booth displays at the Show, photography and/or video recording of any booths is prohibited. However, you can get around this rule by merely asking for permission from the exhibitor.